Copyright © Tucson Massage and Body Therapy. All rights reserved. 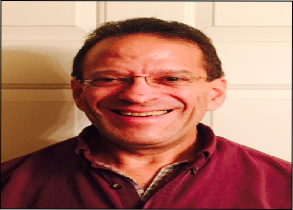 Randy provides an extraordinary approach to a regular massage treatment through a synergistic session, for a comprehensive therapy and healing process. The benefits can include an increase in therapeutic effectiveness with more perception, skill and energetic level involved. As his abilities and strengths, together creating kinetic polarity. This all combines into a powerful yet soothing presence and intent that can help open up a way for profound shifts to occur in physical and emotional well being. Treatments can be tailored to be gentle, nurturing with relaxing massage, subtle on or off the body healing process. These sessions can carry the client to penetrating inner realms of self reflection and achieve profound rest and revitalization. Other sessions can be more intense with the addition of deep massage techniques focusing on pain areas, injuries, range of motion limitations and postural deviations. Randy uses his skill with different advanced massage modalities. Another approach involves the client's interaction with the bodywork, using their breath, sound and generating movement to access deep tension, reduce stress and contact feelings. This type of therapy engages the physical, mental and emotional aspects of a client and gives a chance for resolution of buried pains and trauma. Some people can sense the rejuvenating force of touch and feel a current or “juice” coming from the practitioner's hand and flowing into their body, many experience enhanced relaxation, a sense of safety and overall feelings of well being. Others don't perceive these sensations but still gain aid and comfort to their body-mind. In any case, the nurturing sense from two hands with the merging energy and focus of a Licensed Massage Therapist, can help you help yourself align and mend physically and emotionally. All of their sessions are aimed at bringing renewal and transformation in accordance with the client's intent.